Save 50% or more by Renewing and reusing your industrial air filters. Renewal/reuse of your own filters will cut filter maintenance costs without reducing filter performance or risking equipment protection. Our multi-stage process is more than a good cleaning, we renew your filter to manufacturer specs. And the cost of renewal is normally a fraction of the cost of a new filter. *Click here to see some examples of unusual filters that we have successfully renewed. It is a little known secret that most industrial air intake and dust collector filters can be renewed and reused multiple times, depending on the filter media and usage conditions. When mildew resistant filter paper was first developed, many of the major filter manufacturers actually gave methods for cleaning their filters. Although they don’t generally recommend it today, it is doubtful that any manufacturer would say that their filters are less able to hold up to the process than they were years ago. See below and click the links for more information. “Do-it-yourself cleaning techniques and improvised cleaning tools are risky and should be avoided. Commercially available air filter cleaning services are most likely better equipped and have more reliable techniques for cleaning air filters than most maintenance shops.”, from Filtration Bulletin SB_LT18727. “Most Donaldson elements are manufactured with washable filter media…The (cleaned) element retains the high efficiency of a new element.”, from a letter written to BIG 4 by the Donaldson Product Service Manager in 1987. 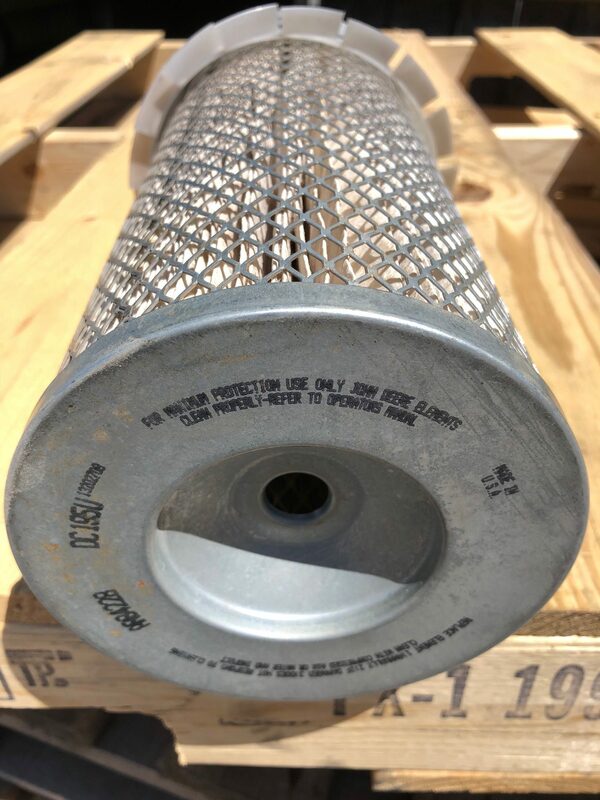 “Clean Properly – Refer to Operator’s Manual” as shown on the end cap in this photograph of an older John Deere air filter. “Washing Primary Element” instructions are still shown in some manuals. See Section 140 of the Model 5103 Tractor Manual. “Some vehicle owners and maintenance supervisors, concerned with lowering operating costs, clean and reuse their heavy duty air filter elements.”, as it is pointed out in Technical Service Bulletin 89-4R2. Note: The Filter Manufacturers Council is comprised of many of the major filter manufacturing companies. We have developed a multi-stage cleaning and quality assurance process following the Filter Manufacturers Council guidelines, that cleans the entire filter element inside and out. Our process is not done by an automated machine but by trained and experienced technicians who can tailor it according to the construction and contaminants of the filter element. At multiple points during this process, we perform different types of inspections. If the filter fails any of our tests we reject it at no cost to the customer. 98.99% of all dust and debris removed, renedering a like new filter ready for reuse.